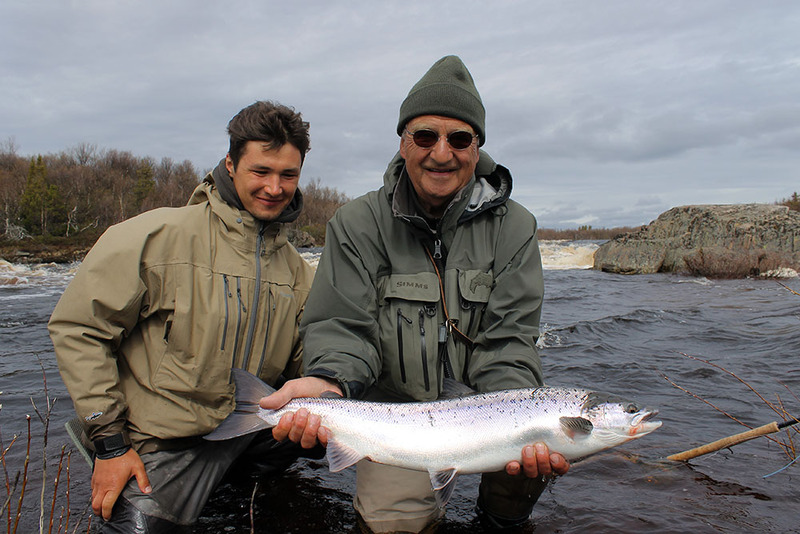 Chavanga Fish Blog: Salmon fishing, Chavanga river, Kola Peninsula. 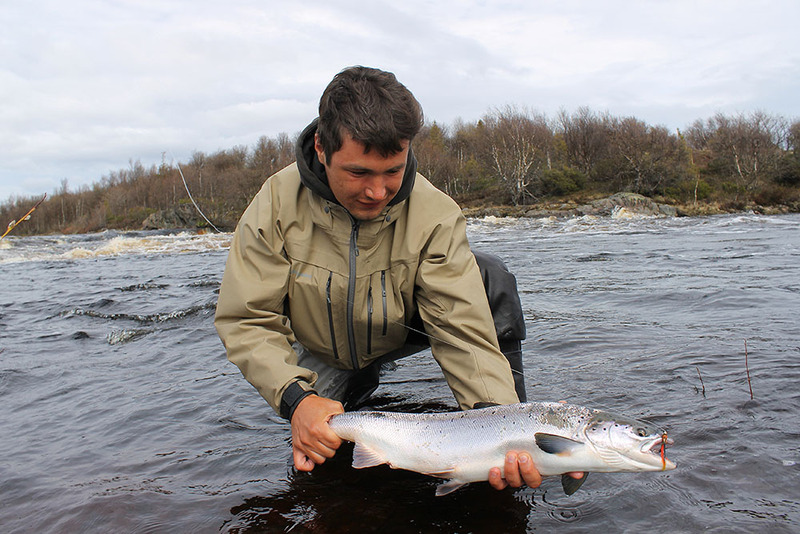 Salmon fishing, Chavanga river, Kola Peninsula. Early spring at the mid of June. Most productive pools were calm deep places that were covered from the main stream by big curves or massive boulders in the river. 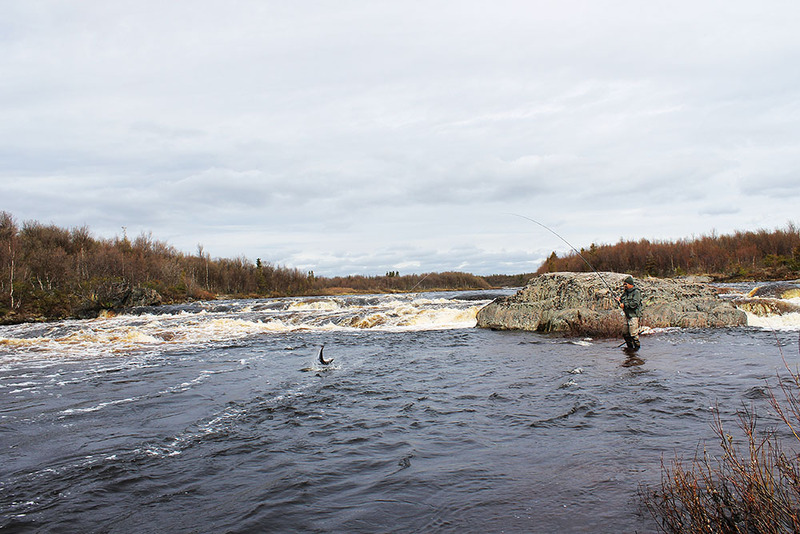 Attempts to fish in the main stream were not productive at all, it was too hard to control a fly in such a mass of the water. We were limited in choosing the right possition and had to fish calm spots near the shore line. 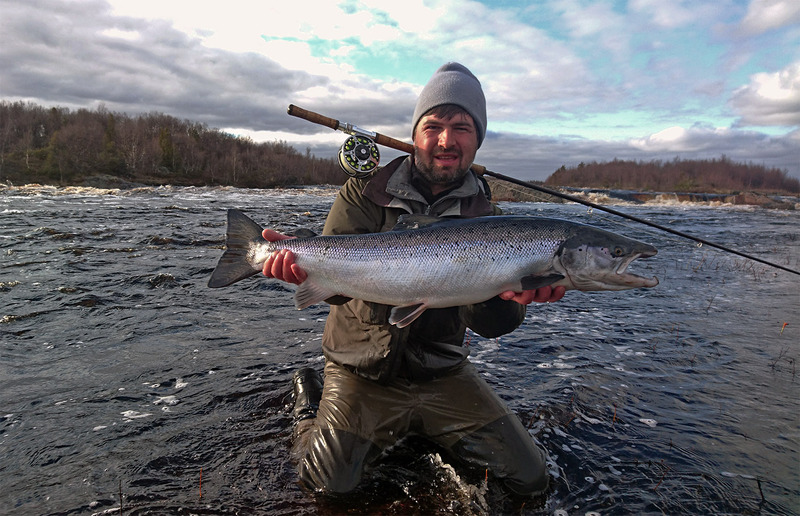 Fishing salmon near the bottom required to use heavy sinking lines and leaders. We tried to fish wast amount of territory but most fish were holding in those areas not far from the bank where the current is not so strong. Next days situation changed. It was important for us the amount of fresh original wate in the river, as there was mass of melting water from the ice and snow upstream that prevent fresh fish from entering the river from the sea. Cold spring of 2017. 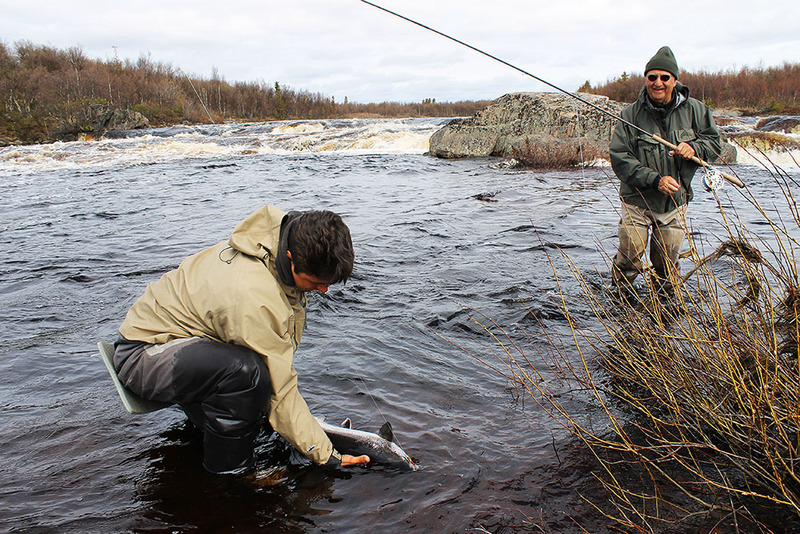 Salmon fishing.